Welcome to #9 in my series of family-friendly dog walks near Chandlers Ford. 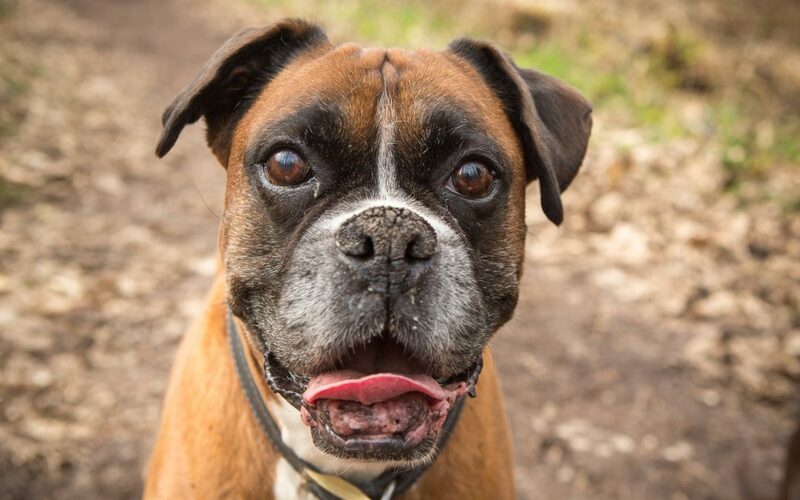 If you have been following my blogs, then I really hope the information has been useful and you have discovered some lovely new places to visit with the kids and/or the dogs! If you have, then I would love to know what you thought of any of the places! 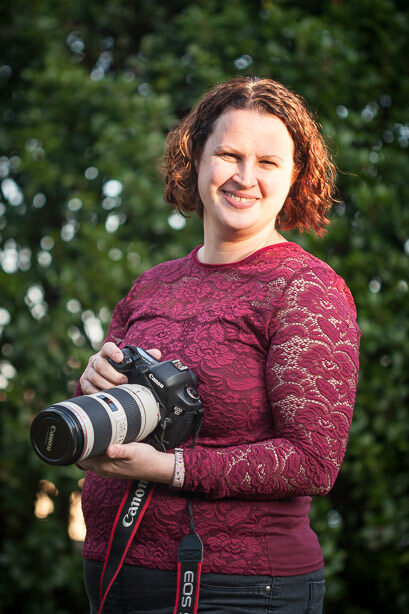 If you are new to my blog series then welcome! 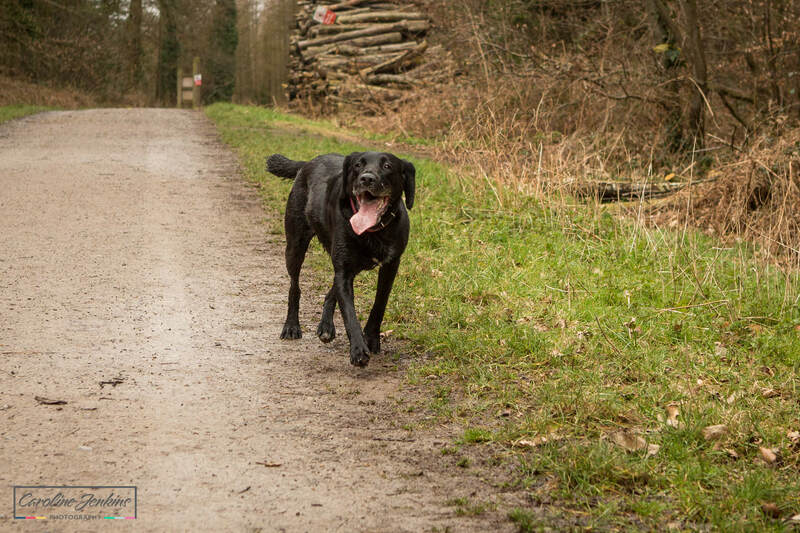 I started writing this a few months ago when several people asked if I could recommend anywhere good to go where they could take their children and their dogs to all have fun! 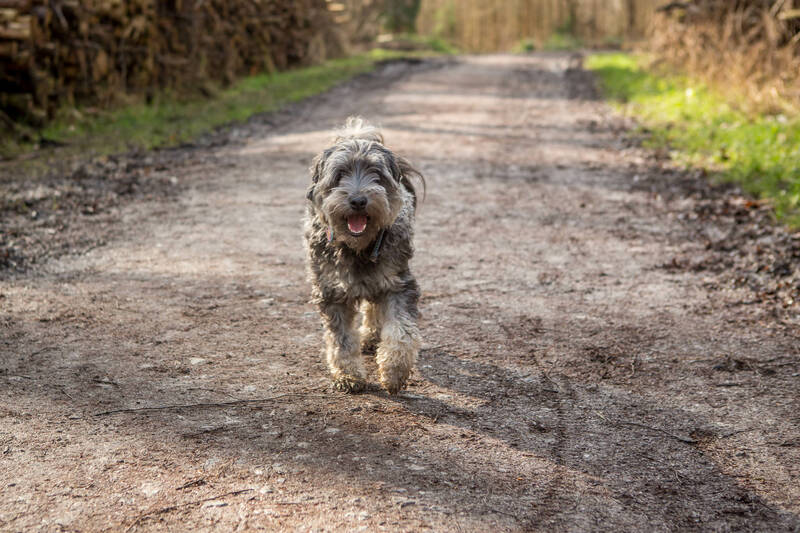 I have a 4 year old son called Charlie, a 3 year old daughter called Evie and an 8 year old chocolate Labrador called Josie, so fun places to visit on a dog walk are important to us all! I have based the walks in and around Chandlers Ford as that is where I live. 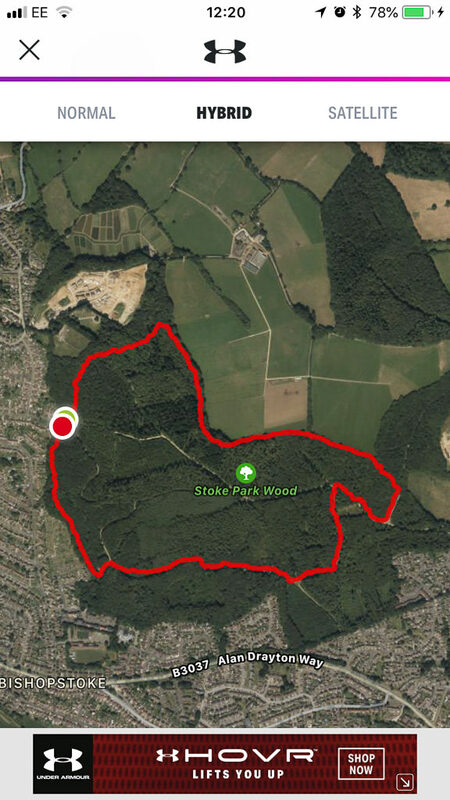 As a family, we have been visiting Stoke Park Woods ever since Josie was old enough to go on walks. It is large enough that you could visit every day, change the walks slightly and not feel bored! We have brought the kids with us ever since they were babies in the carriers, so they have grown up loving it as much as we do. We try and mix it up as much as possible with them, but because we know how much they love the wooden park-features, I have to admit that we always visit there! It is a lovely place of peace and calm and you can easily forget that you’re in the middle of a busy town as quite often you can feel like you’re the only ones there! 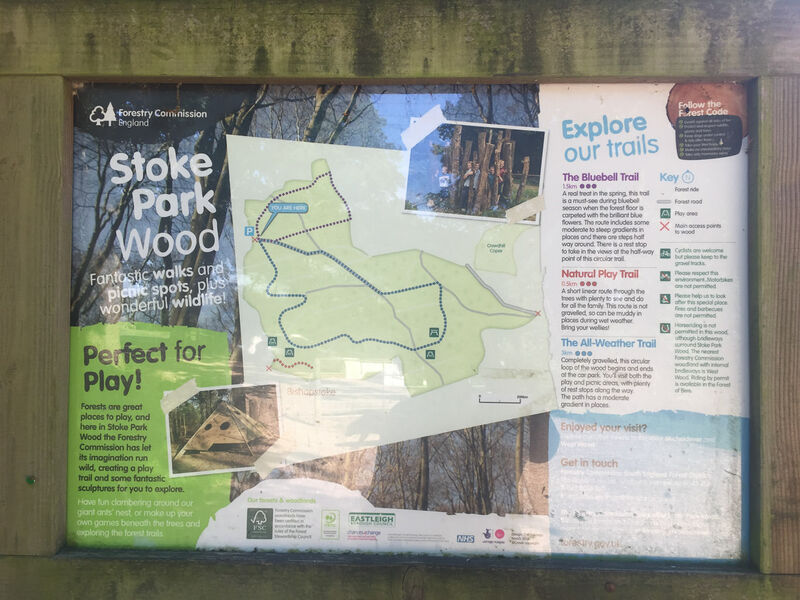 There are two entrances that you should be aware of – one from the Bishopstoke End, off Stoke Park Road, and the other from the Fair Oak end off Hardings Lane. 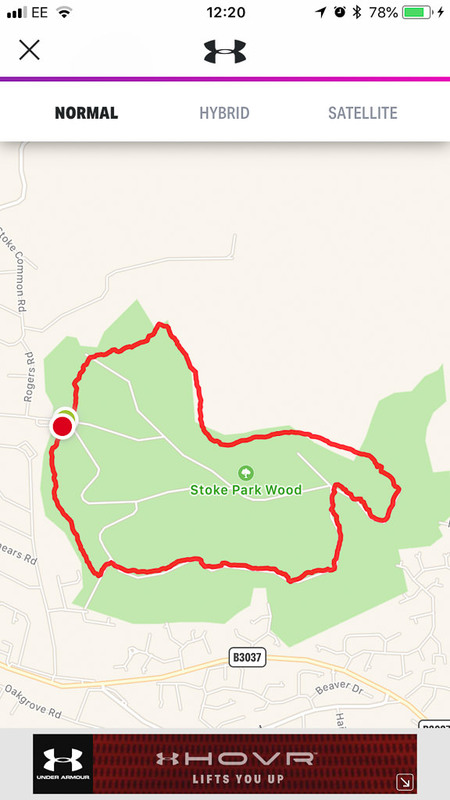 For the purposes of this blog, I will be describing a walk that basically skirts the woods from one end to another, but does start at the Bishopstoke end, which is definitely the larger of the two and is the only one with a decent designated parking area. 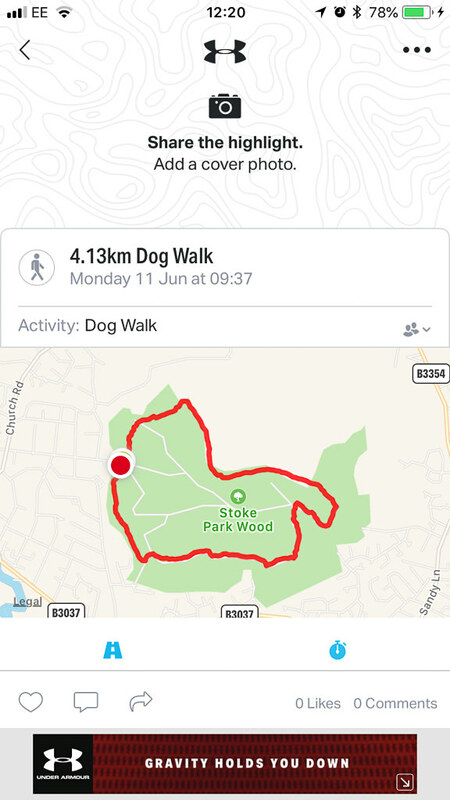 This is a walk that I did with another adult and two fit doggies. It is not one that I would necessarily do with my young children and if I did, then I would definitely pack a lot of drinks and snacks and allow for lots of rest stops! If you have older children though, this walk is just lovely and takes in views over large fields with crazing animals. Again – it’s hard to believe you are in the middle of Eastleigh! From the car park, you walk through the barriers and turn immediately left to take you along a muddy path. Follow it to the end, around a corner and then carry on on the path opposite. It looks like a narrow path overgrown with bushes, but it does widen out. Keep on this path and eventually you’ll get to a fairy steep drop (there are a few basic steps) with a little stream at the bottom. You’ll need to cross this and then back up the steep climb the other side. Keep along this path which skirts the very edge of the woodland. You feel like you’re walking along a very high vantage point. Eventually it will flatten out a bit and you’ll have to cross another little stream with large tree roots all around it with a bank to scramble up the other side. Once you have negotiated that, will hit some steep banks of woodland on your right, but you want to turn left at a fence line, as if you are exiting the woods. This leads you on a path alongside the woods with large open fields to your left and the woods to your right. follow this for a while until you get to a crossroads of paths, and continue straight (keeping the fields to your left and the woodland to your right). And watch out for stinging nettles! Eventually you’ll but back inn through the woodland, where the right hand side of you will drop away quite steeply. Keep on this path until you’ll meet up with a grassy crossroads. Take the right hand fork, going around a barrier, and you’ll eventually meet up with a gravel path onto which you’ll need to turn right. If you were to turn left, it would take you up to the Fair oak entrance to the woods. Continue down this gravel path until you are able to fork around to the left 9past some new saplings and trees in white protective coats). You will now be on another path which weaves around to the right (passing the climbing walls hidden among the trees on the left) and then heads straight through the woods. Keep walking for a while and you’ll get to the wooden train and logs on your left (again, hidden among the trees) and then almost straight ahead you’ll see the pyramid on a large patch of grass. Carry on the path until you pass the pyramid and then turn left onto another gravel path. This will take you all the way back to the car park, coming out almost directly opposite the path that you started on. Now this play area suits us all down to the ground. It is a good distance from the car parks so it means the kids have to walk some way first before we’re stuck for ages! Plus it is a nice wooden one. 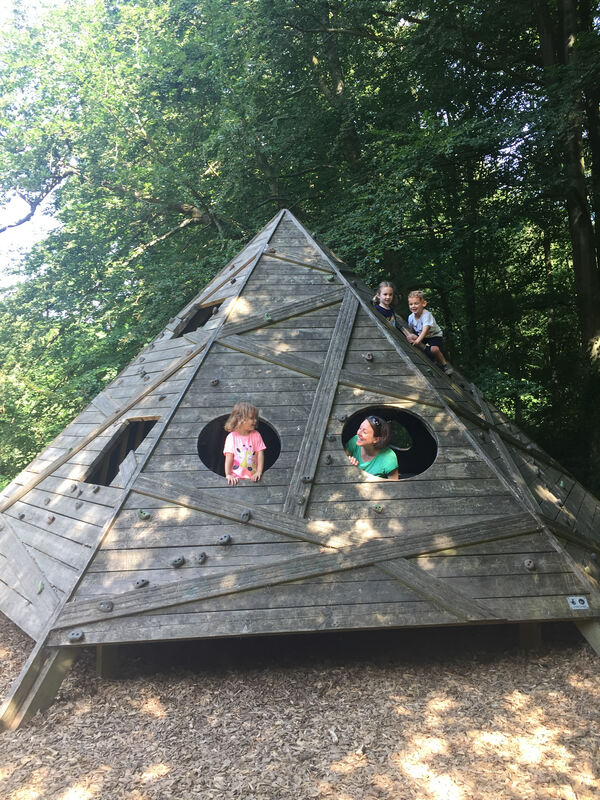 One piece of play equipment is the ole trusty pyramid which we’ve seen before, in Farley Mount for example. the other, situated slightly diagonally across from it and nestled in the trees, is a large open area with a wooden train plus loads of balancing logs and beams, not to mention dens! We have a lot of fun here! There are also other wooden features dotted around the woods, like the climbing walls nearer the other end of the woods towards the other car park. If you want to access the play area without the long walk, take the very first path off the car park (first on the right as you face the car park). This is a long and muddy path that has a lot of tree roots across it. It runs alongside a row of houses whose gardens back onto it, and then eventually you come out at the bottom of the pyramid. A nice alternative for a shorter walk with younger kids! For the last couple of weeks of April and the first couple of weeks in May, these woods are awash with bluebells. Like a scented blanket covering the woodland floor, they are intoxicating and definitely worth a visit! I have only specified one walk here, but there are absolutely loads, especially if you follow the trails that are advertised on the main boards in the car park. There are lots of lovely main gravel paths that criss-cross throughout the woods, as well as lovely “cross country” paths that go through the woods as well as around he outside as shown here. If you stick to the gravel paths, then accessibility for wheelchair users and pushchairs is good. A lot of the mud paths have large tree roots and can get incredibly boggy in wet weather so I wouldn’t advise this! 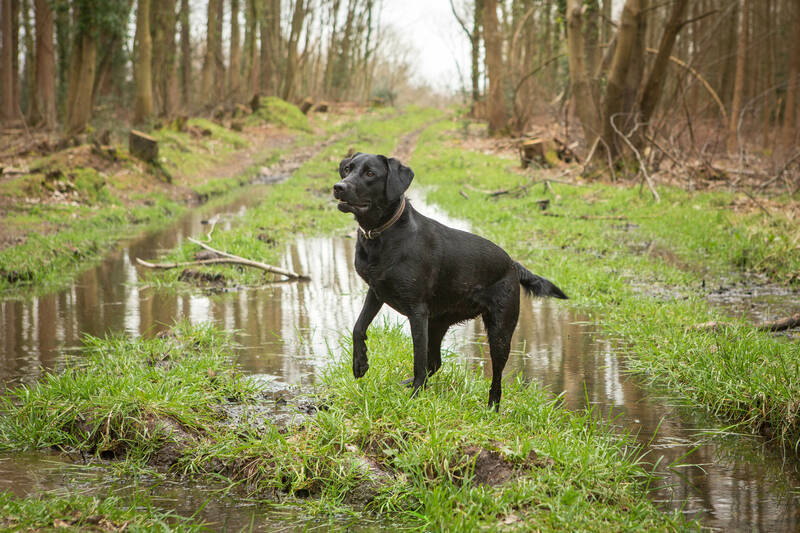 Watch out as quite often there can be big puddles of stagnant water around, which will most definitely lead to gross-smelling doggies! There are only poo bins in the car parks at either end of the woods, so beware of lots of poo around the paths where people can’t be bothered to pick it up or flick it into the undergrowth. 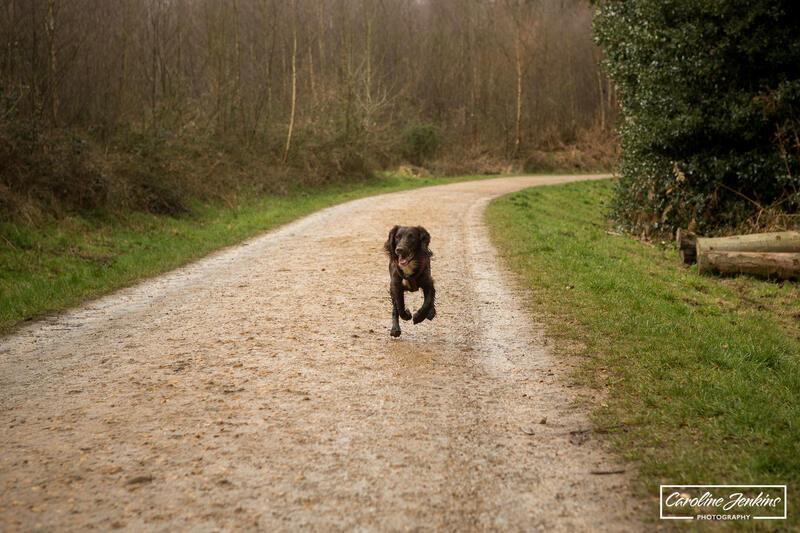 These woods are renowned for getting incredibly muddy and boggy in wet weather, so it is absolutely essential that you wear appropriate footwear and have the necessary towels to wipe the dog/kids down afterwards! !